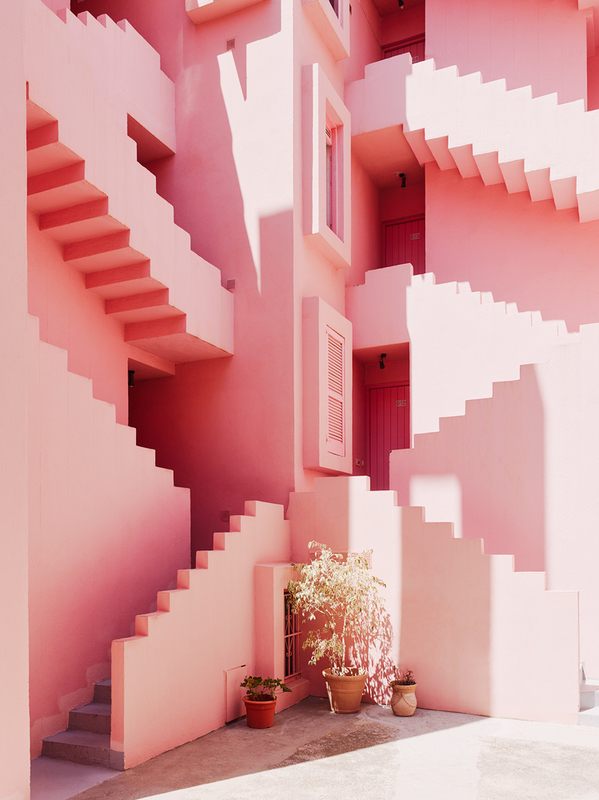 Legendary Spanish architect Ricardo Bofill may be most widely known for his dystopian-looking postmodern housing estate Le Palacio d’Abraxas as well as his own reclaimed cement factory home, but his body of work is much more colorful and diverse than these examples would suggest. 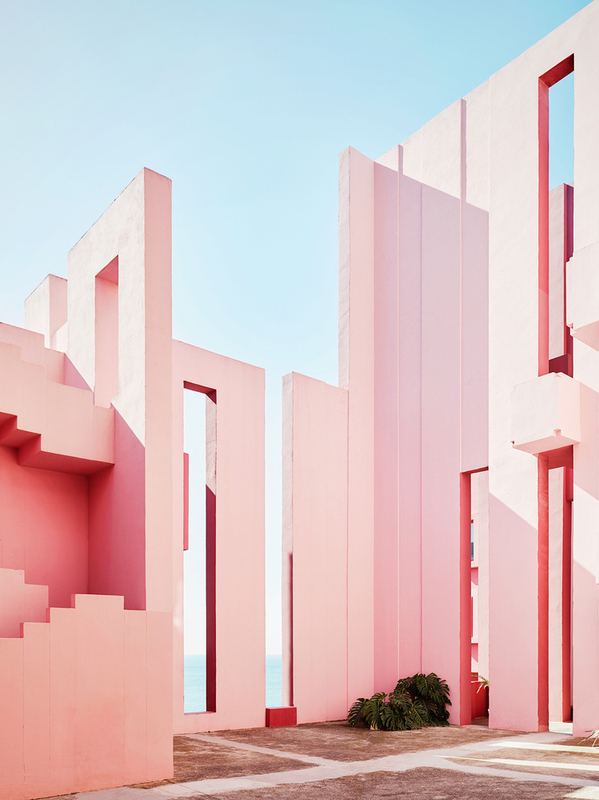 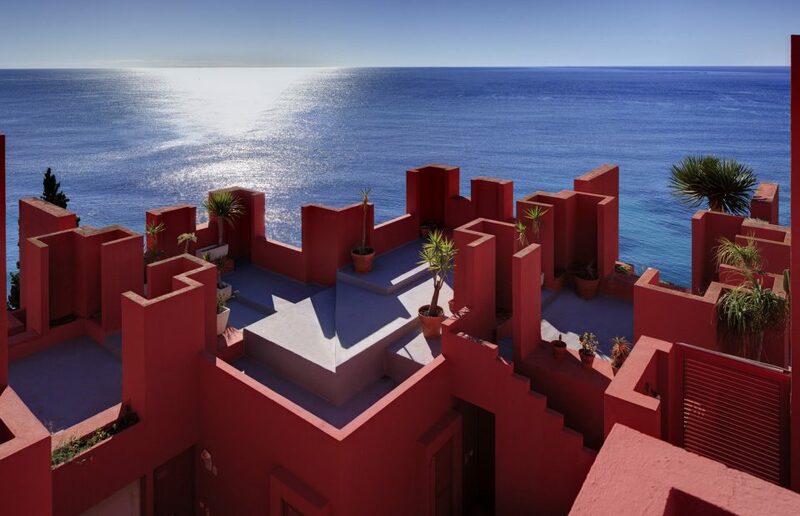 Celebrated for modernizing historic and regional architectural attributes in his own distinctive style, Bofill counts a number of iconic structures among his oeuvre, including the vivid La Muralla Roja (The Red Wall, 1972), a vision in pastel hues set against the Mediterranean Sea. 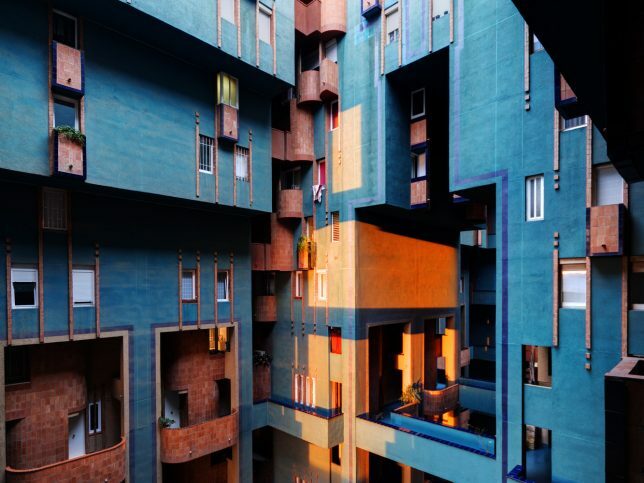 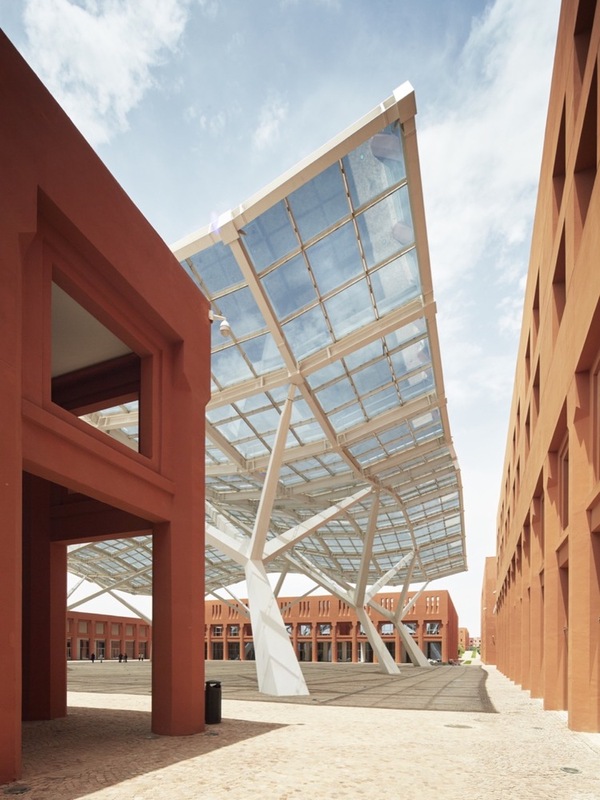 Bofill founded his architectural and urban design practice Ricardo Bofill Taller de Arquitectura in 1963, and nearly sixty years later, after completing over 1,000 projects in over 50 countries, he’s still working. 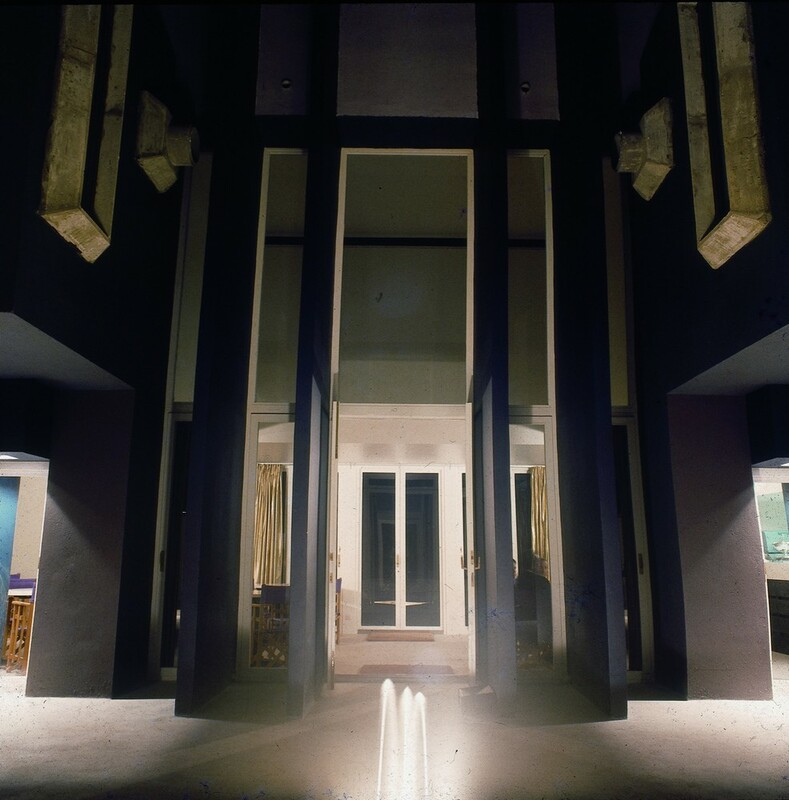 Born and raised in Catalonia, he’s credited with helping to revive the signature craftsmanship of Catalan architecture. 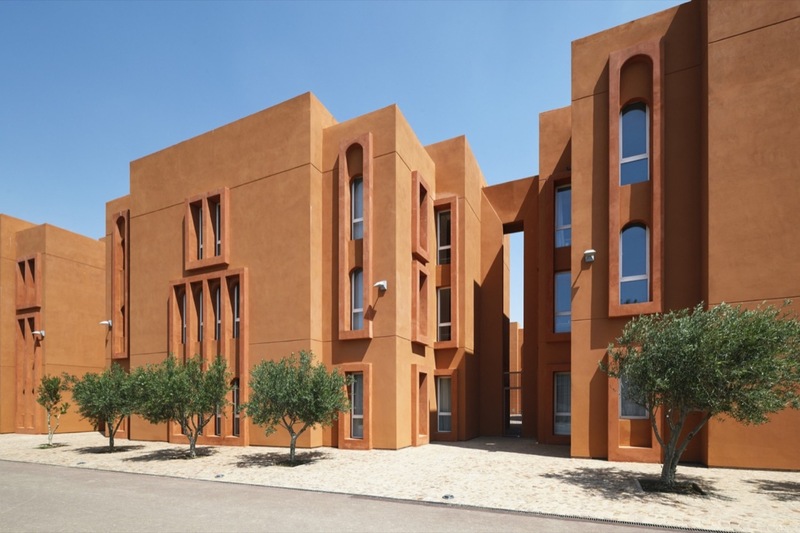 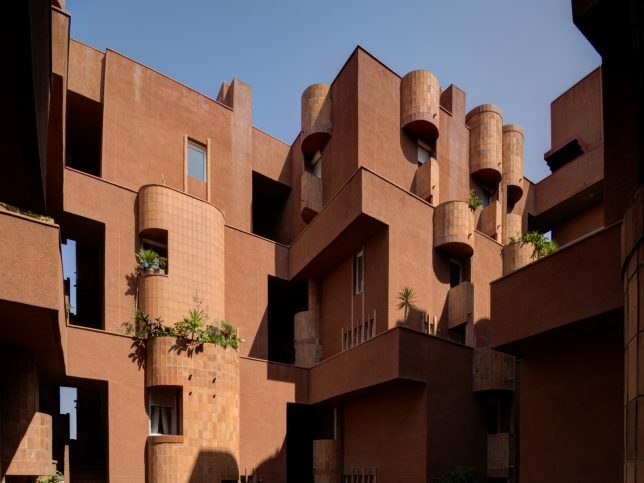 Bofill’s planning skills are evident in such large projects as Walden 7 (1975), a terracotta-colored apartment building in the town of Sant Just Desvern near Barcelona. 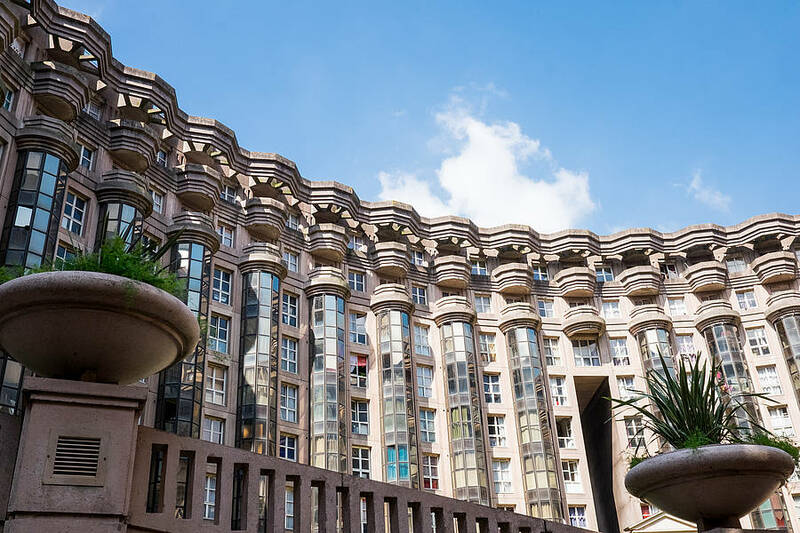 Even with a minuscule budget, Bofill produced a wonder of a tower full of intricate geometries. 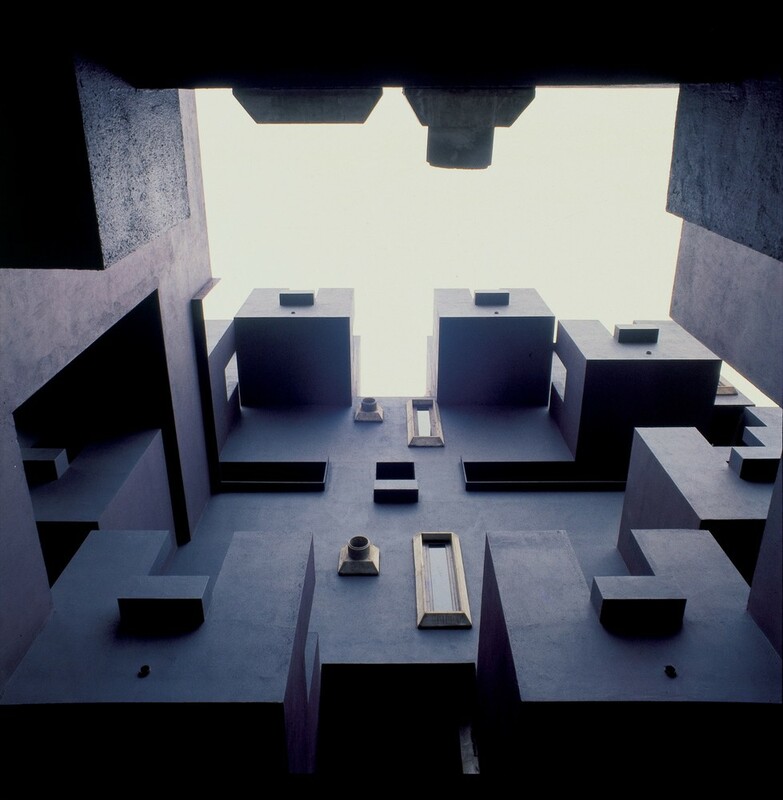 Its name is derived from the sci-fi novel ‘Walden Two’ by B.F. Skinner, referring to a utopia, and the attention to detail afforded to its every nook and cranny gives us a sense of how Bofill saw the project at the time. 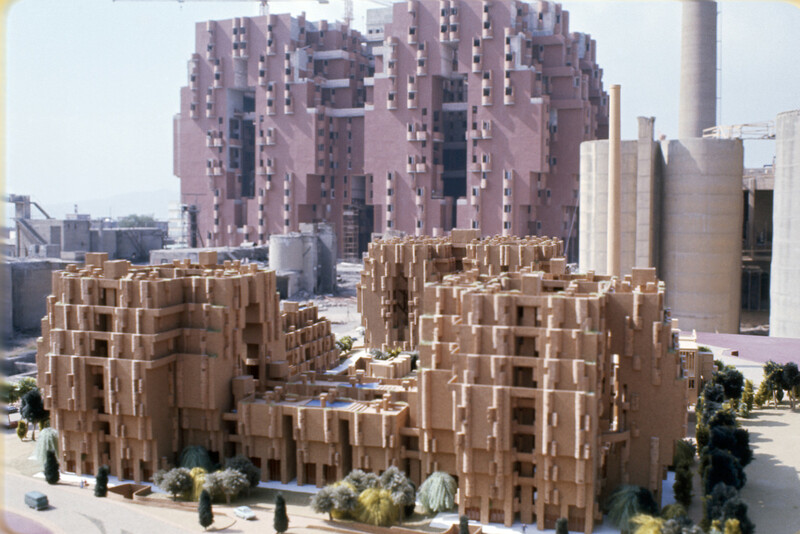 Walden 7 is an illustration of Bofill’s theory of “The City in Space,” a formal approach to architecture that envisions collective housing serving all the necessities of people and communities through design. 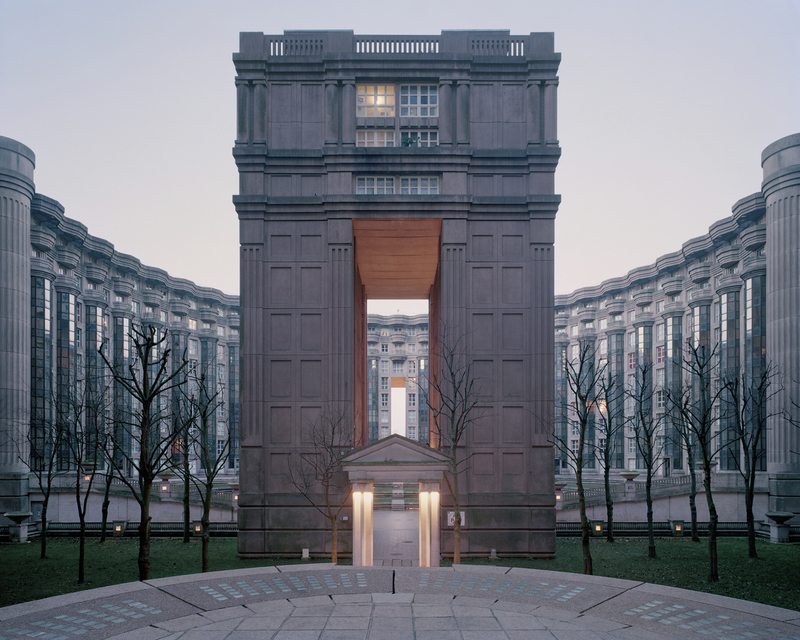 It’s monumental by nature, more than a little radical, incorporating elements of Bofill’s then-Communist politics. 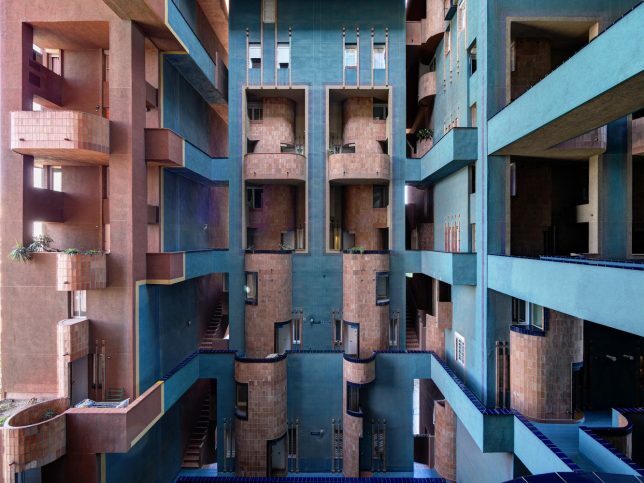 Looking at this building and others Bofill designed around the same time, one sees strict geometric order enforced through cubic volumes, grids, courtyards and arcades, all arranged very precisely to make maximum use of the space. 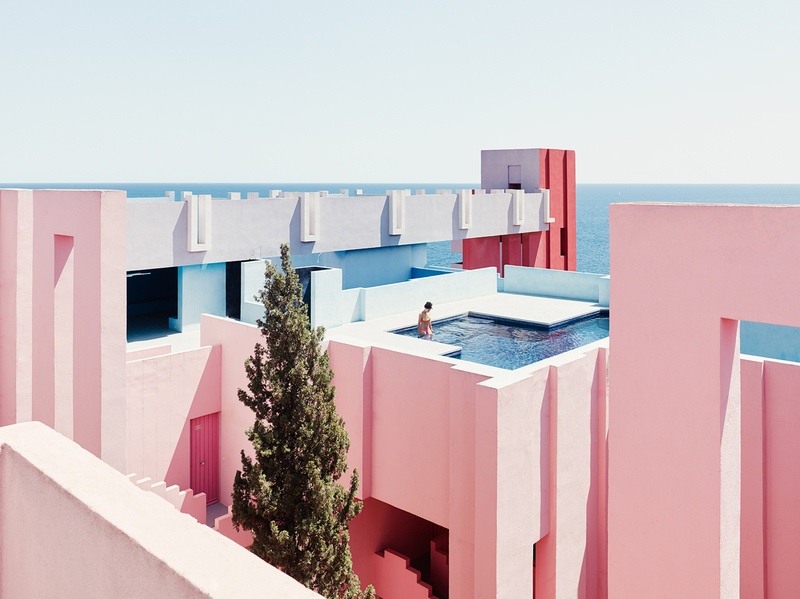 This is also clear in one of his earlier works, Kafka Castle (1968), an apartment complex consisting of 90 units, restaurants, a pool, a sauna and a bar. 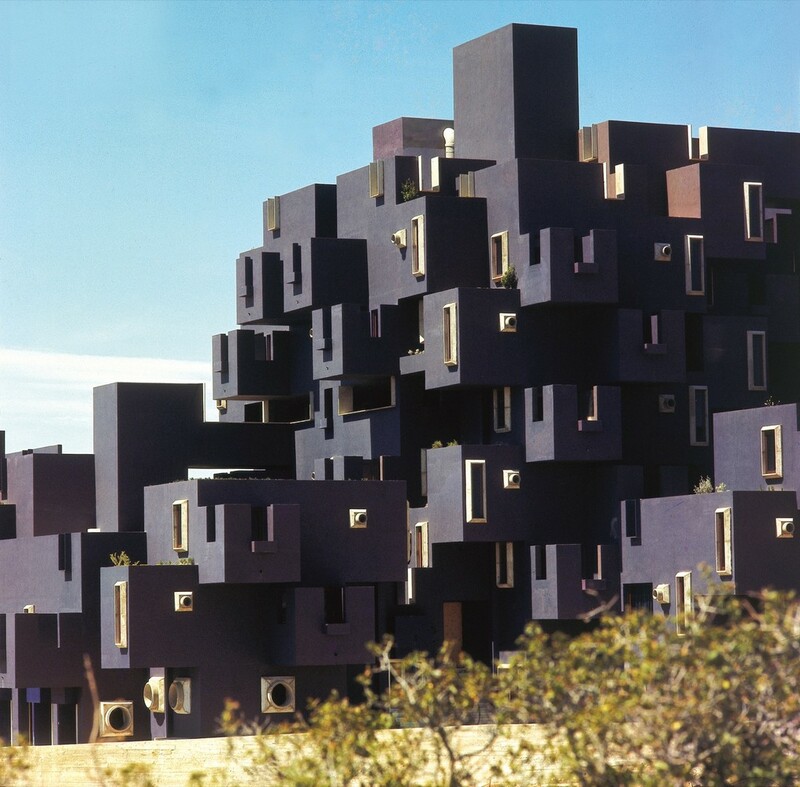 However, a series of designs that would remain unbuilt would ultimately lead him to abandon this theory. 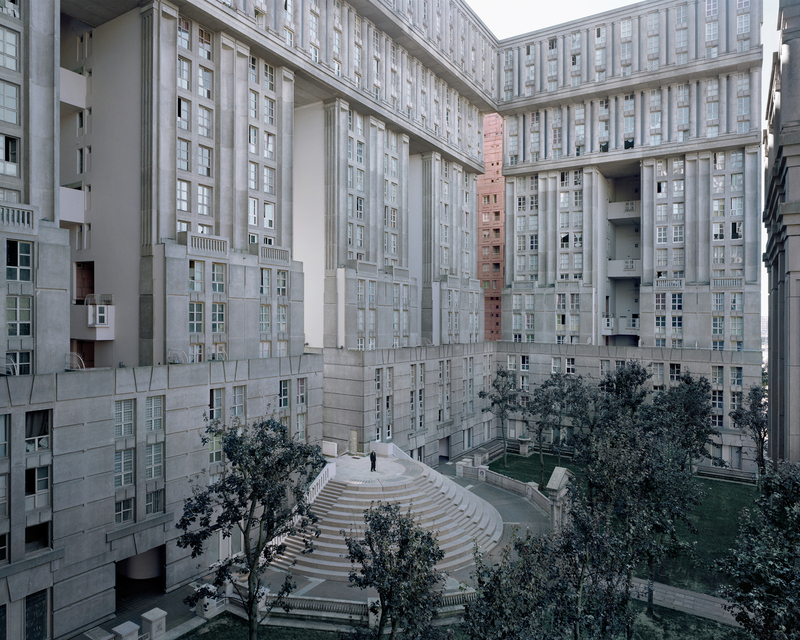 Where other postmodern architects of the time took a far more minimalist approach, Bofill clearly enjoyed bringing a touch of the Baroque into his projects, a tendency exemplified in Les Espaces d’Abraxas, an otherworldly housing estate in Seine-Saint-Denis, France. 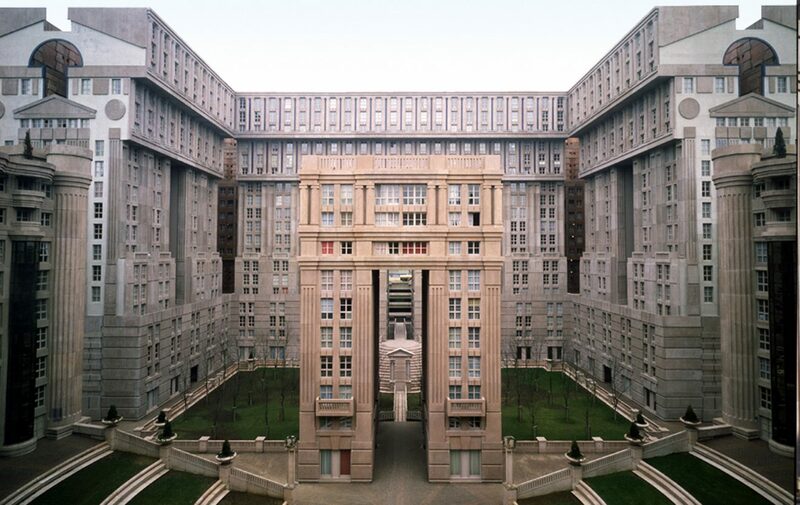 Designed as a direct rebuttal to Le Corbusier’s utopian visions of the 1950s, which Bofill saw as lacking style, the Espaces Abraxes in Noisy-le-Grand was meant to represent an ideal city. 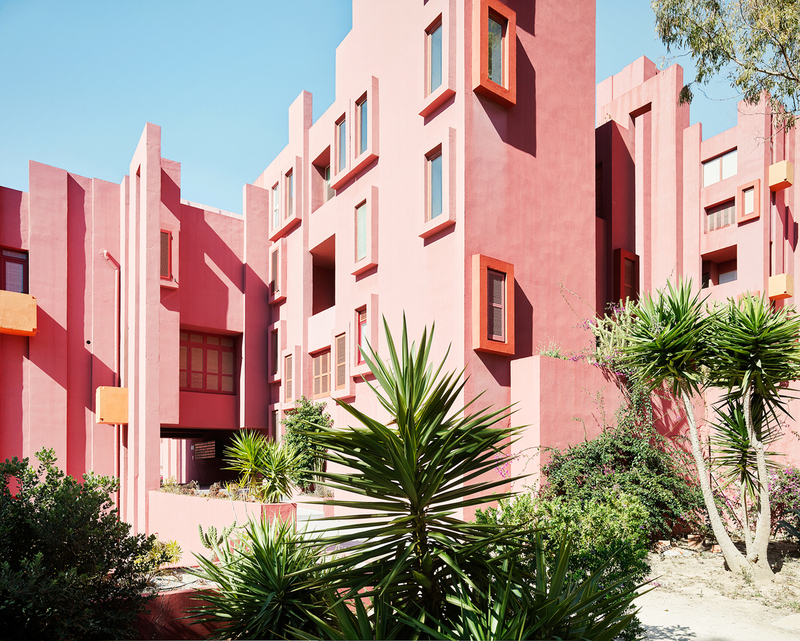 In practice, to the residents who have lived in it over the decades, it’s said to have felt closed-off, lacking in community spirit – the opposite of what Bofill intended. 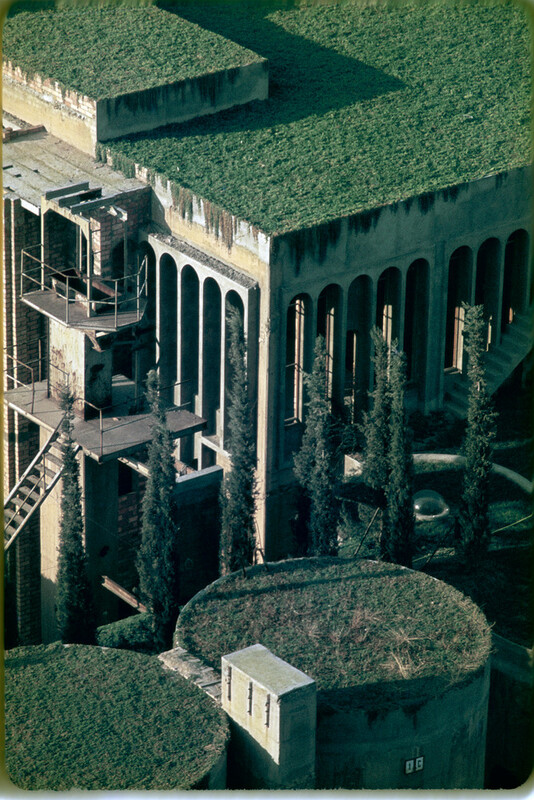 Along with similar structures built at the same time in the area, onlookers typically compare it to a prison or a fortress. 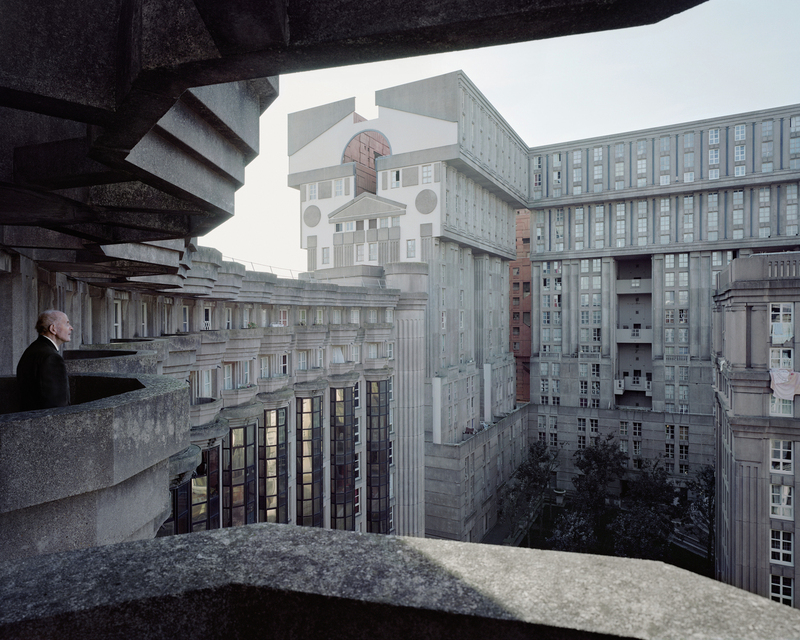 Fittingly enough, it has since been used as the setting for such films as Terry Gilliam’s ‘Brazil’ and ‘The Hunger Games: Mockingjay.’ Photographed here by Laurent Kronental as part of his series ‘Souvenir d’un Futur’ (Memory of a Future,) the Espaces Abraxas is still in use today, its residents having fought off several attempts to demolish it. 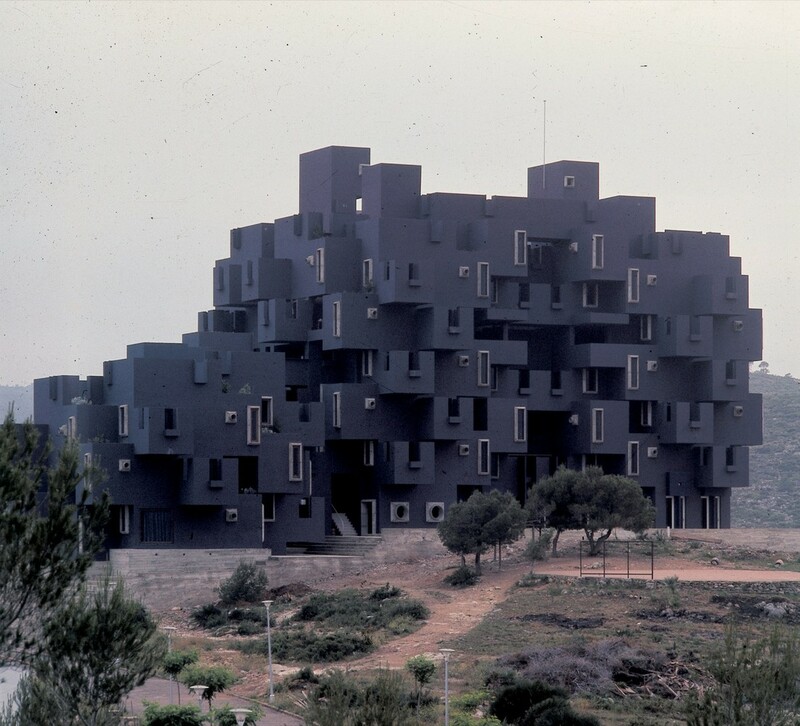 Clearly, whether or not it’s your architectural cup of tea, it has significant value. 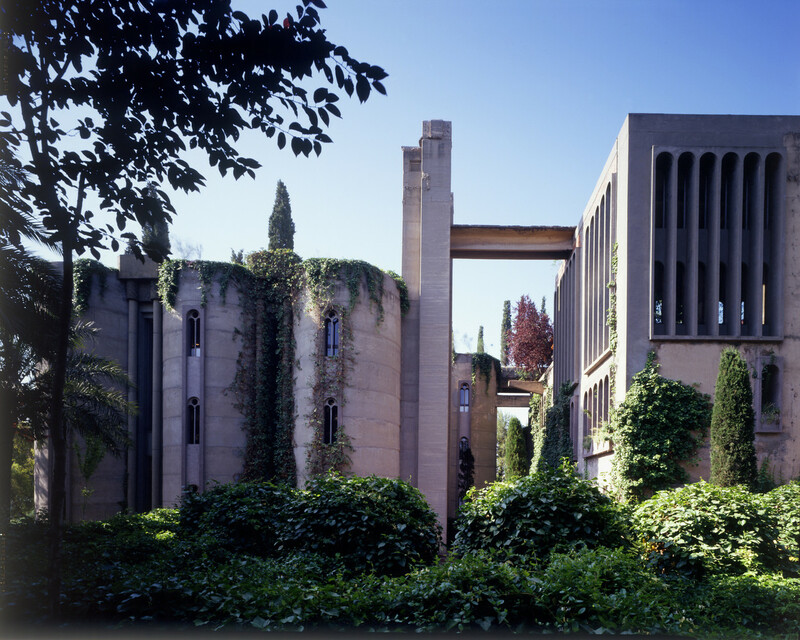 Many of the individual elements that can be identified among all of these works can be found unified in La Fabrica, Bofill’s own residence and the headquarters of his eponymous firm. 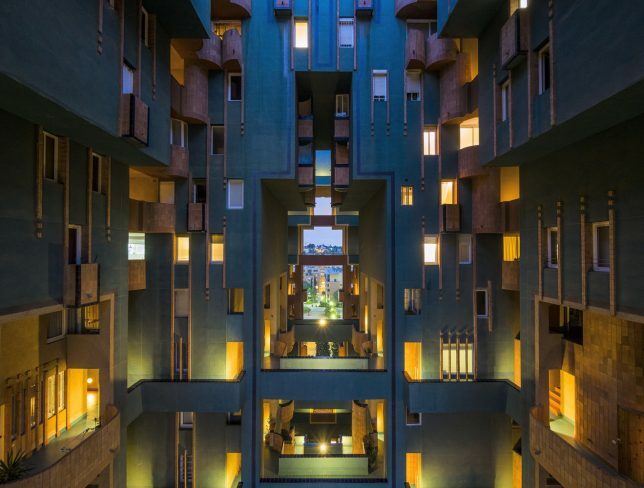 Post-Modernism, Catalonian vernacular, industrial architecture, Brutalism and other styles converge in a project Bofill first began more than forty years ago, and which he says will never be officially complete. 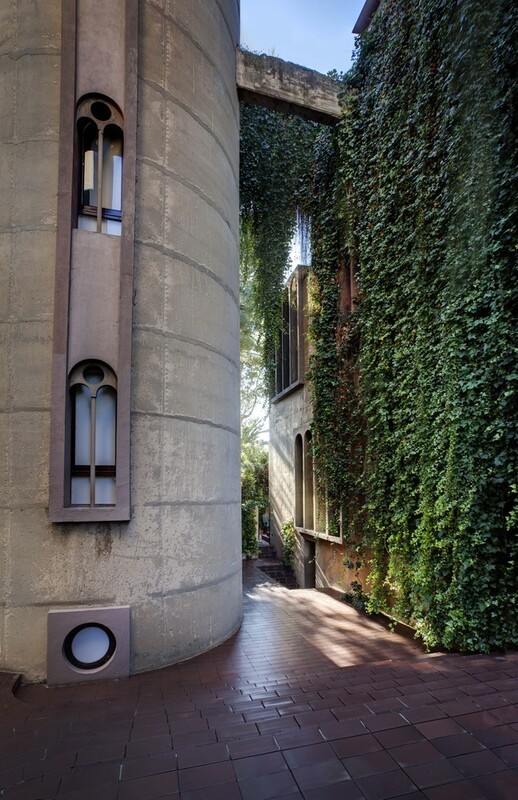 Formerly a cement factory built in the 19th century, La Fabrica now looks like a lush reclaimed castle covered in grass and vines and packed with surrealist features, like staircases that lead nowhere. 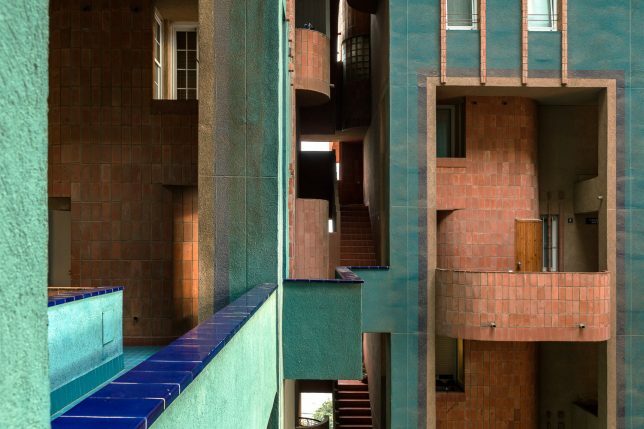 It’s a fitting home for one of the world’s greatest living architects, imbued with his spirit and his vision of what urbanism could look like.